Baird Orchards - a family farm, whom together with our extended community of workers, managers, packers, distributors, friends and co-creators raise fruit, raise our soil’s organic matter, and are raising our consciousness around food and health connections. 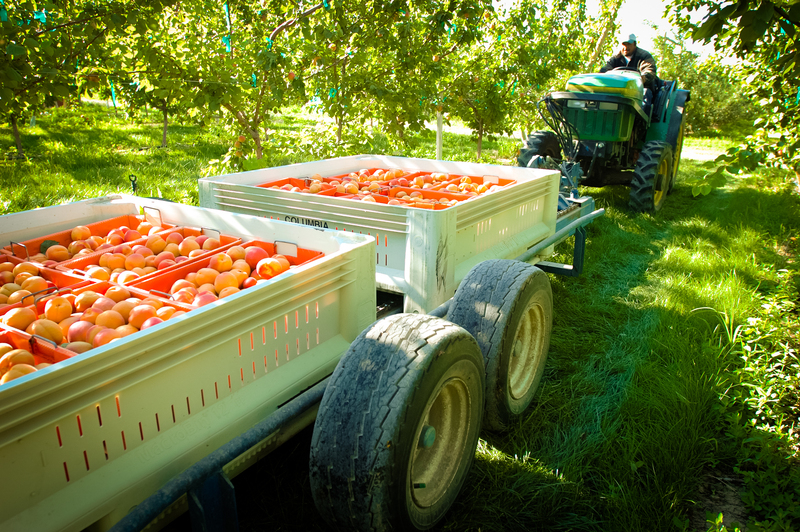 Our family’s ancestors have been farming and growing apples since the late 1800’s in Central Washington State. Five generations of people whose livelihood has been growing food. This heritage is part of our past but the future is where our efforts are focused. Ever-changing dynamics in food production and stewarding our land resources challenge us to constant improvements. Food and people’s relationships with food are ever present in our practices and future planning. Growing fruit, vegetables, grains and fodder in as safe and healthy of a manner for both our customers and the longterm health of our soils is our highest priority. Apples aren’t the only fruits to come out of Baird Orchards. The success of the orchard allowed Jim Baird to give back to society by starting Cloudview Farms. Learn more about Cloudview Royal City and Cloudview Ephrata.